[News of Ko Hyun-joon] It's time for Cho Hyun-joon to deliver the best news. Welcome, Mr. Hyun Jun. First news? &lt;Go Hyun Jun / Current Editorial&gt; Korea Press Foundation Big Data Analysis Keywords. It is time for [news of Koh Hyun-jun] to deliver the news of the topic exactly and choose. Welcome, Mr. Hyun Jun. (Good morning.) What's your first news today? Korea Press Foundation Big Data Analysis Keyword. I see the keyword police, and one of the photos uploaded to an online community on the 6th has been controversial. It's a cop-related picture, let's see the picture first. A woman is falling, but four police officers on the scene are not taking any action. Some of the netizens said, "Even if we see a woman who has fallen, the police are not taking any measures such as emergency measures." The police commented on the same night. This woman was bored, saying, "Do not touch my body." She refused to protect the police and was protecting her until 119 paramedics arrived. Actually, the police are trying to cope with how to respond to a spouse, especially a female spouse. In September, police officers received an announcement in Gangnam, Seoul, because they responded excessively to female spouses. 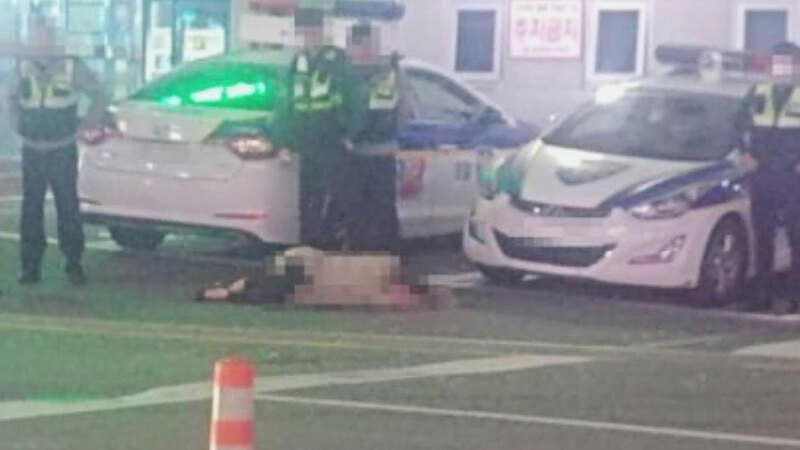 The police officer who woke up the bereaved woman refused to touch the body, and the image of the woman shaking the head two or three times came to the SNS and succumbed. I try to avoid controversy because I may be reported as sexual harassment, but I am telling the truth that if a female police officer is not in the field, it is not easy to solve the problem. The end of the year is approaching and there will be plenty of drinks. Will not this controversy disappear if we do not drink so much that we can not control ourselves? Five people per day were caught by the police, who forged an identification card and took the English test instead and received millions of dollars at a time. From June 2015 until the end of last year, they took English tests like TOEIC and TAPS for three and a half years. I have been cheating the test supervisors with fake IDs that have been re-issued as composite pictures using the application, or purchased directly from overseas. The people who took the proxy test were ordinary office workers who studied in the US or Canada. They took 300 to 5 million won for each surrogate test, and they all spent about 100 million won to pay most of their gambling debts. Yes. There were 19 office workers, 5 college students, and 6 prospective job seekers. Most of them requested surrogate examinations for employment or promotion. There were cases of applying for a law school admission test report or finding a job in a large securities company. The police will recommend introducing a full face identification program to the related organizations. He also said he would ask for customs searches for fake IDs sent by international mail. It seems that the fake life of false identification and surrogate tests must be found out that it is inevitable. There is a serious conflict among residents about the way of using underground parking lot in an apartment in Gwangju area. It is state of the underground parking lot of one apartment apartment in Gwangju area. You will see a notice saying 'No parking outside the designated vehicle'. There are 105 households in this apartment where 240 households can use underground parking lot. First of all, I gave permission to use the underground parking lot in the order of application, but the owner of the vehicle not included in it does not enter the underground parking lot even if it is vacant in the underground parking lot. There is a parking lot on the ground, but it is said that the space is not enough, except for the case where the existing user moves and seats, there is virtually no chance for the next orderer. It is difficult to park the underground parking lot because the person who applied for the application in August 2016 is waiting for more than 2 years. When this situation continues, some residents have also filed a complaint in the apartment management office and the ward office about the infringement of the property rights. The administration office is in the position that it is inevitable because it is the apartment regulation itself. The ward office has requested a surveillance survey to the higher-level agency, Gwangju city. Those who have suffered from Parkinson will know how much the stress is, and need a fair and equitable solution to reduce conflicts among residents. ※ 'HyunJoon Joon' s News is produced by Korea Big Press, a news data service created by the Korea Press Foundation.